MAKE MONEY WITH YOUR SOCIAL! Join a healthy group of people sharing high integrity and highly nourishing products and earn commissions. Everyone gets awesome savings and you earn cash! 4) Your followers get discounts and you EARN cash! 5) Weekly commission paid on balances £100 or more (otherwise it will be every 2 weeks). Fill in the short form below to apply for your code. We will reply within 24 hours (right away if we are online) and then you can begin sharing. Share ENRICHD products (photos and videos) with your followers.. It's so simple and once you have shared the commissions become automatic. We will pay you every time you reach £100 in commissions or every 2 weeks, whichever comes first. How awesome to be able to earn like this? The integrity of the ingredients is our highest priority because that is what we are offering to the World. It took us years to find such awesome quality, nourishing and ethically sourced ingredients. And now you can eat them and share them! e.g your social media name + 15 "ENRICHDORG15"
1) Will we send you free products? The quick answer: Make 10 sales and you get hooked up! You can buy a HUGELY discounted sample pack to try our awesome foods and take your own photos and videos. This is a bit of a catch 22 situation because there are SO many fake social numbers out there, how do we know who to send products to? 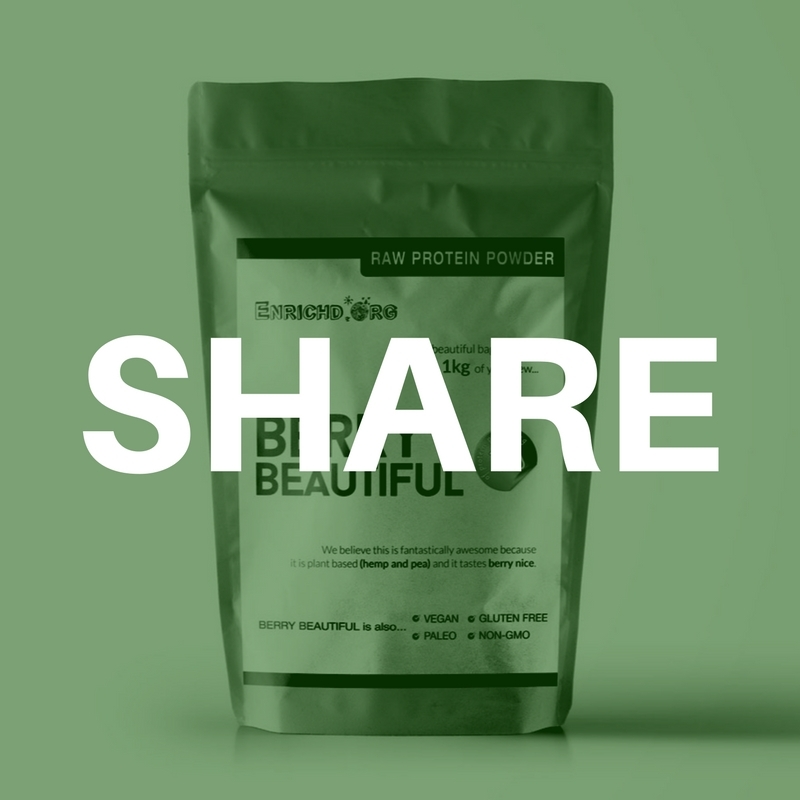 Because we know our product is AWESOME, clean as a whistle, sells well and has already been approved by our nutritionists and PT's alike, we need YOU to get posting first. When you make 10 sales in one month we will send you free products! Sounds fair right? If you're social is strong enough you will make 10 in one month EASY PEASY! Make 20 sales in one month and we will send you a cash bonus! 2) But I want to try the product before I post about it? If you're REALLY serious about this give us a call on +44 (0)203 808 5177 and we will happily hook you up with a one-off MASSIVE discount so you can try it. 3) I live outside the UK, can I still get involved? Yes, but we currently only ship to the UK so when you post make sure you use UK health / fitness / gym / yoga relevant hashtags. Or if you send emails to your email list then it's more effective to choose a UK based segment.